Sunrise Medical has become a leader in the high-tech power wheelchair industry. The most important players in the field of mobility devices all pay particularly close attention to every move this global company makes. No wonder, considering that Sunrise Medical builds the power wheelchairs that drive change, introducing innovation and efficiency at every turn. 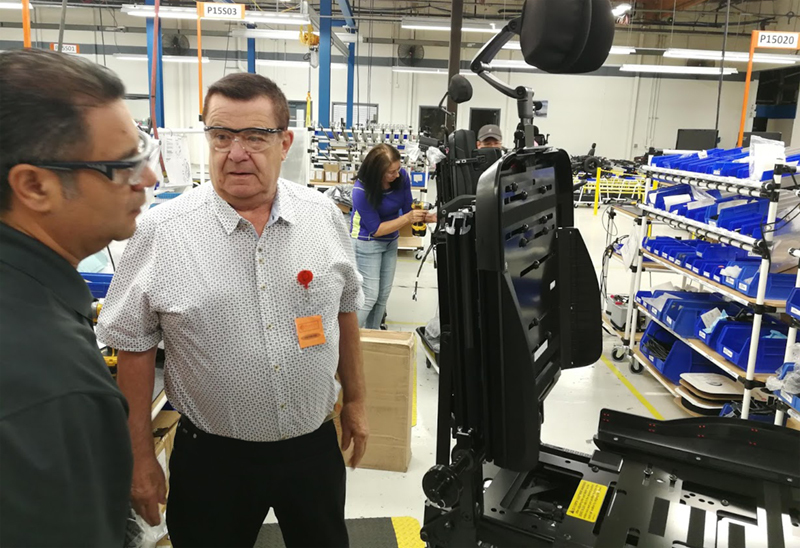 Kurt Regner, founder and president of REGNER®, together with CEO Conxi Langreo visited the Sunrise Medical factory, located in Fresno (CA, US) last September. They had the chance to take a plant tour and to experience firsthand how Sunrise manufacturing capabilities contribute to the company’s overall strength. The premises of the company are set in Fresno County, a hub for medical manufacturers. In this area, there is an important number of companies dedicated to health care and medical supplies with easy access to a skilled and productive workforce. Among them, Sunrise Medical, which benefits from the well-trained mass of engineers and technicians coming from the numerous universities that dot this Californian region. In order to better understand the company’s performance, strategy and current challenges, Regner and Langreo had the opportunity to take a plant tour. Abraham Baez talking with Kurt Regner at Sunrise Medical premises in Fresno (CA). Regner and Langreo had the chance to see the factory firsthand accompanied by Abraham Baez, Senior Materials Manager. The first thing he let us know: ‘at Sunrise, we haven’t built two wheelchairs alike in 2018’. The reason lies in one of Sunrise Medical’s key strategies, that is, to bring customized state-of-the-art mobility devices to the market at top speed. Customizing the product for the end user and doing it in a very precise and efficient manner is at the core of what Sunrise Medical is. ‘We pride ourselves in delivering a wheelchair that can be fashioned in a myriad of configurations in just four days’, Abraham Baez highlighted, adding that ‘chances are everyone finds exactly what they want. The goal is to provide customers with what they want, when they want it’. However, to put this apparently simple statement into practice is quite complex. Sunrise enables their customers to create their own power wheelchair with the specific mobility solutions they need by selecting from an array of materials and accessories. To do this, though, they rely on one single scalable design, platforms. Platforms are modular units that offer numerous configurations and that maximize the possibilities for building a large variety of power wheelchair models by carrying out only slight structural modifications and applying custom options ranging from styles to fabric choices. To cater for such a system, the layout of the factory has been redesigned considering the different platforms and, as Abraham Baez informs, ‘we have increased the number of platforms this year, so we have become more flexible in production. Now, we can ship even faster‘. Indeed, the ability to respond quickly to a customer’s demands, to create solutions that match the customer’s exact requirements and to swiftly ramp up production is a powerful and unique quality. This is particularly important at a time when competition is no longer just a matter of price and quality conformance. As the Senior Materials Manager remarks, ‘the growth and success of Sunrise Medical is based on the firm’s ability to produce custom power wheelchairs on demand, meeting the needs of each individual customer precisely and producing these items only after an order has been placed, thereby totally avoiding the risk of superfluous finished goods in stock’. Moreover, an extensive network of trained dealers provide advice regarding Sunrise products. The company also partners with hospitals, training their clinical staff and providing support to physical therapists who regularly deal with matching the needs of patients challenged with complex rehabilitation needs. 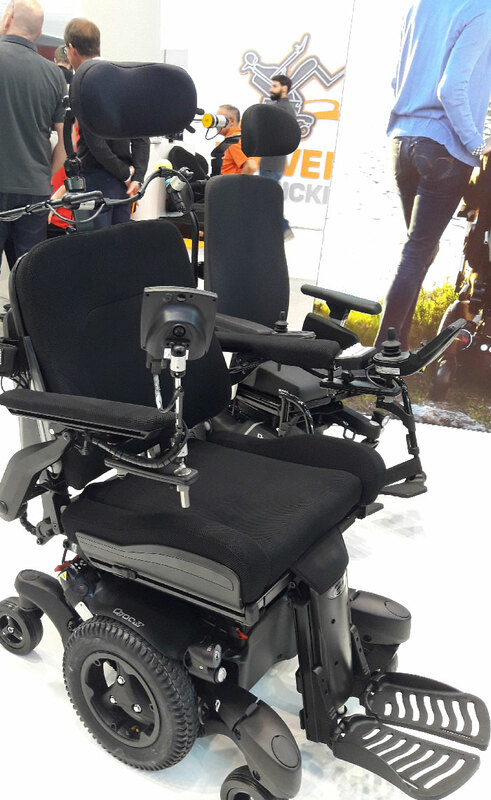 The Sunrise Medical Q700M power wheelchair. Anyone who drives a Sunrise Medical wheelchair is in constant contact with the innovative electric linear actuator systems designed and manufactured by REGNER®. REGNER® linear actuators are used in every Sunrise Medical plant to guarantee reliable and silent movements. 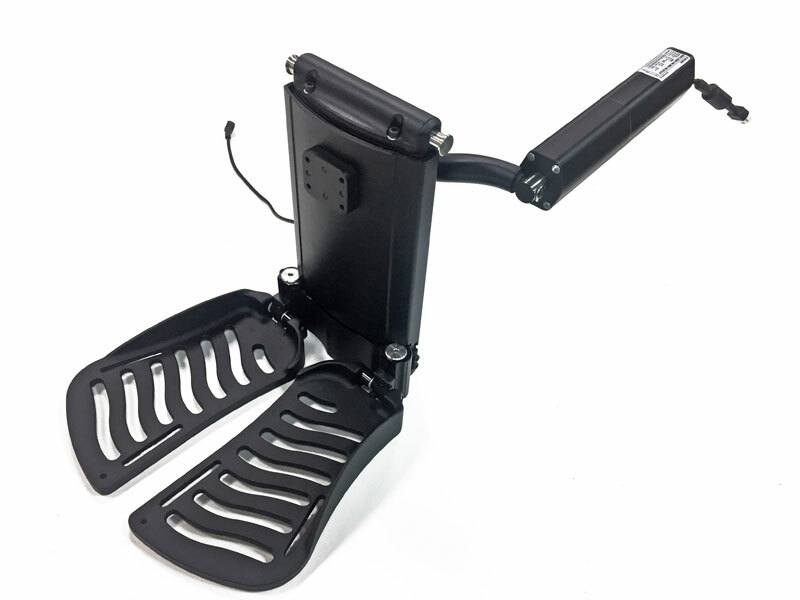 The electric functions of Sunrise wheelchairs are operated by REGNER® linear actuators, which allow individuals worldwide to choose the right position on a daily basis: our actuators are used to lift or tilt the seat, adjust the angle of the footrest or the backrest, or control the chin, for example. Fully-compliant with international medical device standards, REGNER® specializes in creating customizable sleek linear actuators capable of providing safe, precise and clean movements. 90 + 12 = ?